Location Cotherstone Moor. Goldsborough. Summit. Geology Namurian sandstone capped isolated hill. Record Name Ring cairn on summit of Goldsborough Hill. 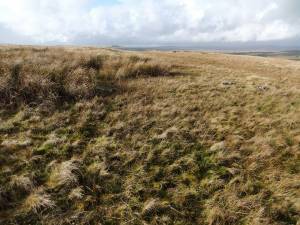 Cotherstone and the effects on the moorland vegetation of reduction of sheep. 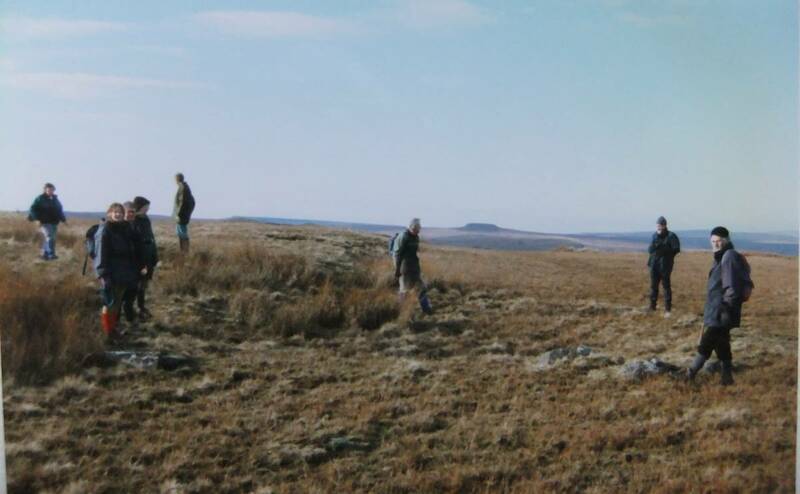 Additional Notes Finally, attention is drawn to the fact that the moorland vegetaion on the summit of Goldsborough is today very different to that which was present when my earlier photo was taken during the 1990's. 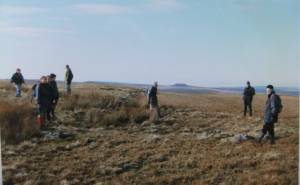 The stone bank of the ring cairn is clearly visible on the earlier photo which was taken during a field walk lead by me to Cotherstone Moor by members of a University of Leeds Extra Mural Class in the early 1990's. 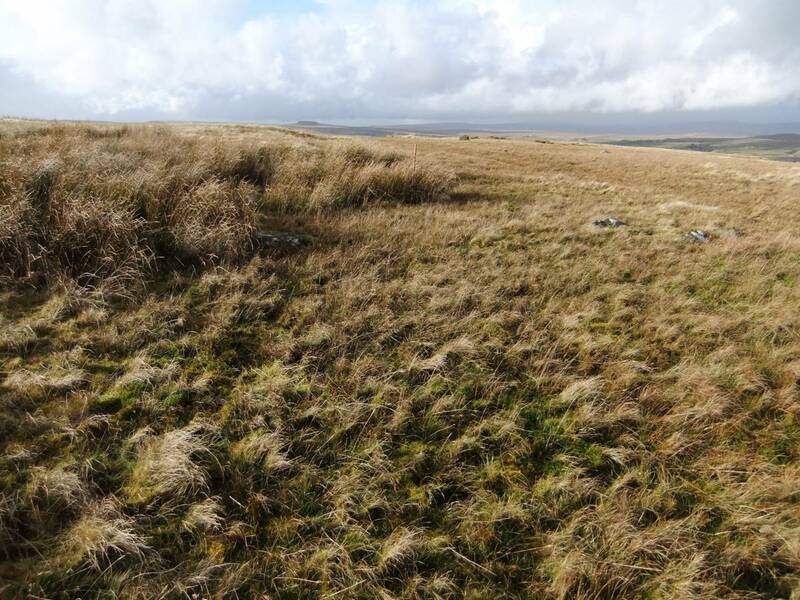 The ring bank is today very difficult to recognise as the moorland vegetation and the soft rushes are much more rampant and luxuriant following reduction in sheep headage and in the reduction of grazing the moor. Image 1 Description The ring cairn on the summit of Goldsborough photographed on 23 November 2012.